I don’t know about you, but I wasn’t born with a green thumb. Most flowers and plants probably see me as the Grim Reaper. “No please, anyone but her!!! Don’t let her take me home!” they scream as they see me and my shopping cart approaching. Kids, no problem. Pets, piece of cake. Put a plant or flower in my care and you might as well say your goodbyes. 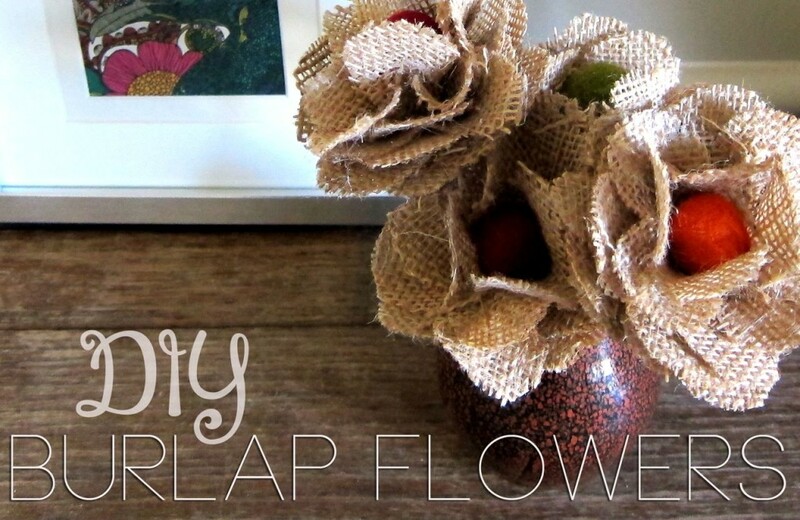 The first step is to cut your burlap petals out. I cut strips about five inches wide. 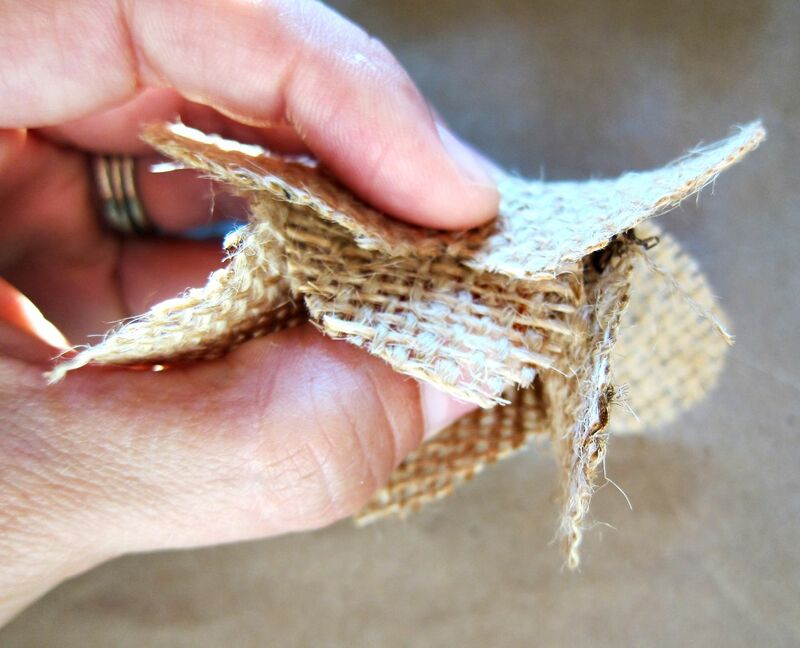 Taking the strips I then cut those every four or five inches so I ended up having a stack of burlap squares. From there I eyeballed cutting flower bases out. They don’t all need to be the same. Just make sure they all have the same amount of petals. I cut mine to have four petals. 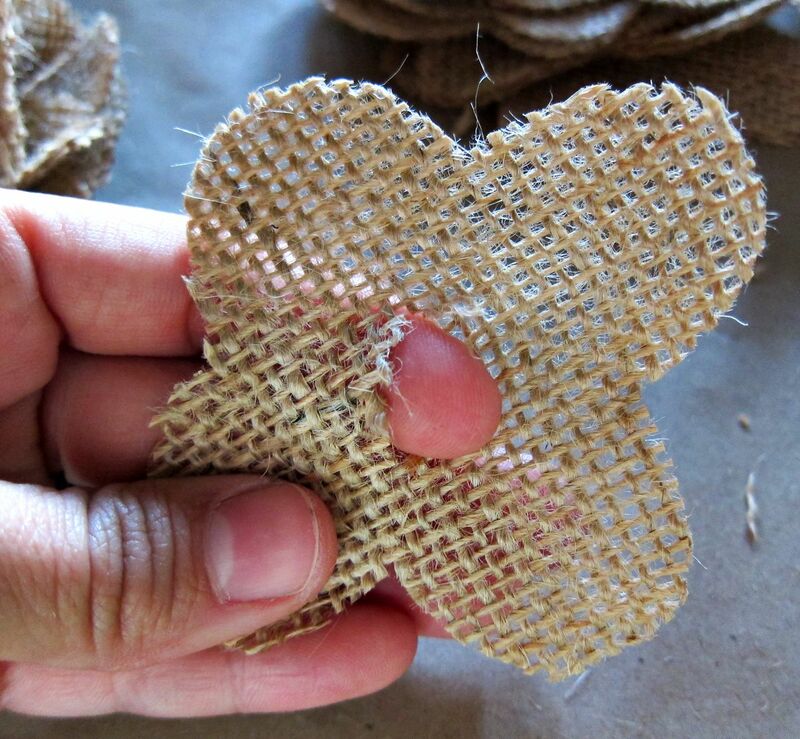 Once you have cut your burlap petals, you are ready to start piecing everything together to make the flowers. 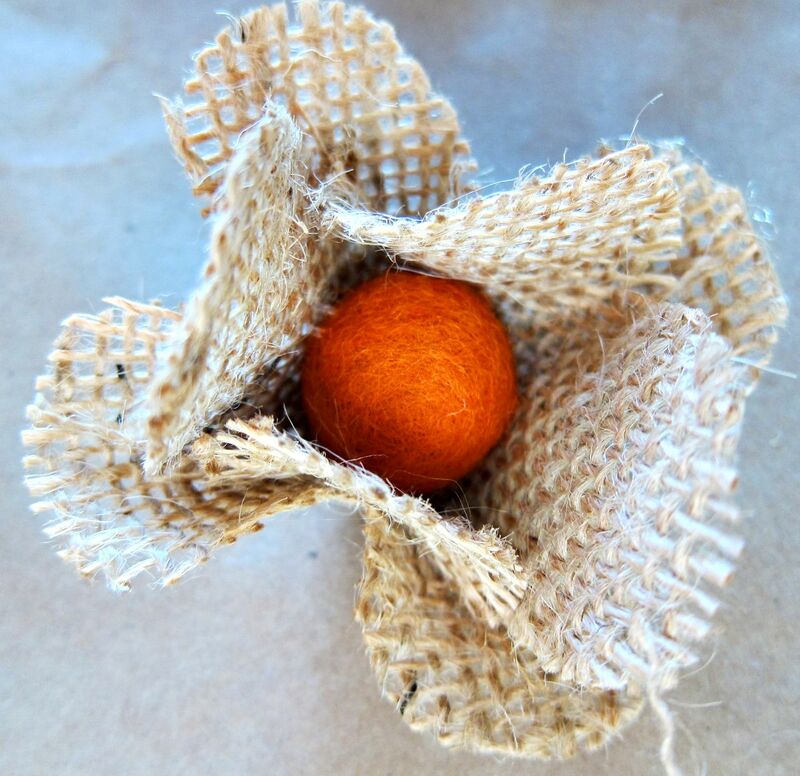 Take one burlap petal piece and hot glue one of the wool felt balls into the center. 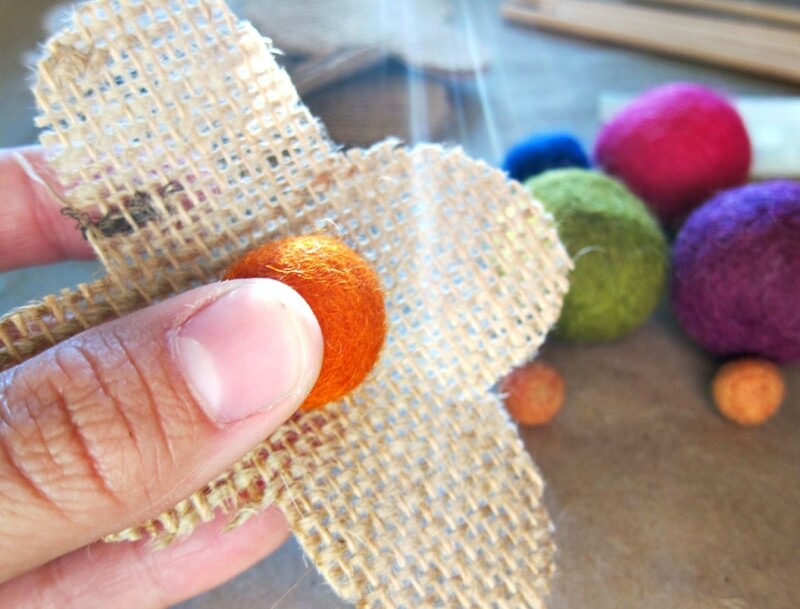 Next, put a small drop of hot glue on each petal to attach them to the side of the wool ball (as shown below). 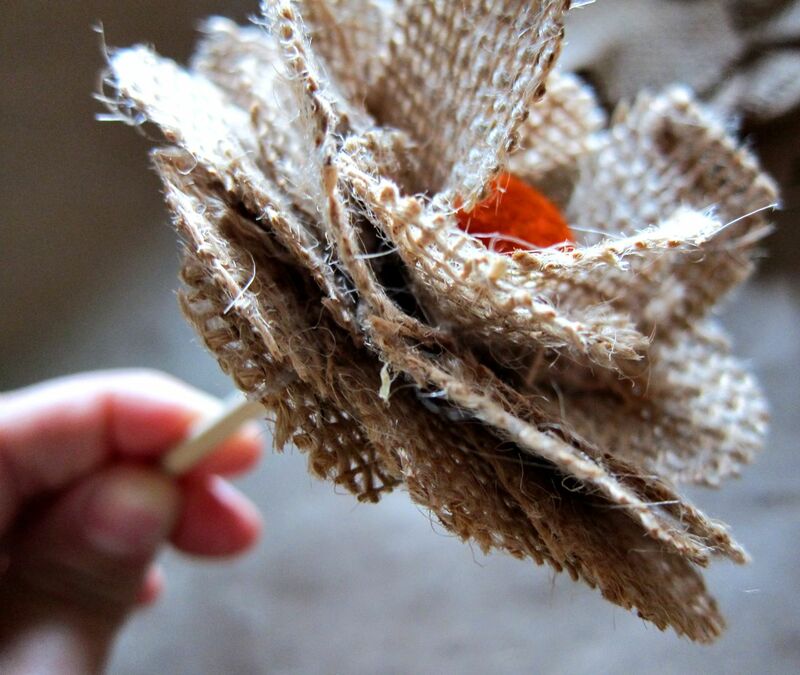 Then hot glue another petal burlap piece below the first one. Turn it so the petals are rotated in between the petals of the first burlap petal piece. Hot glue each petal down, and hold each one for a few seconds to make sure the petal seals and the glue sets. 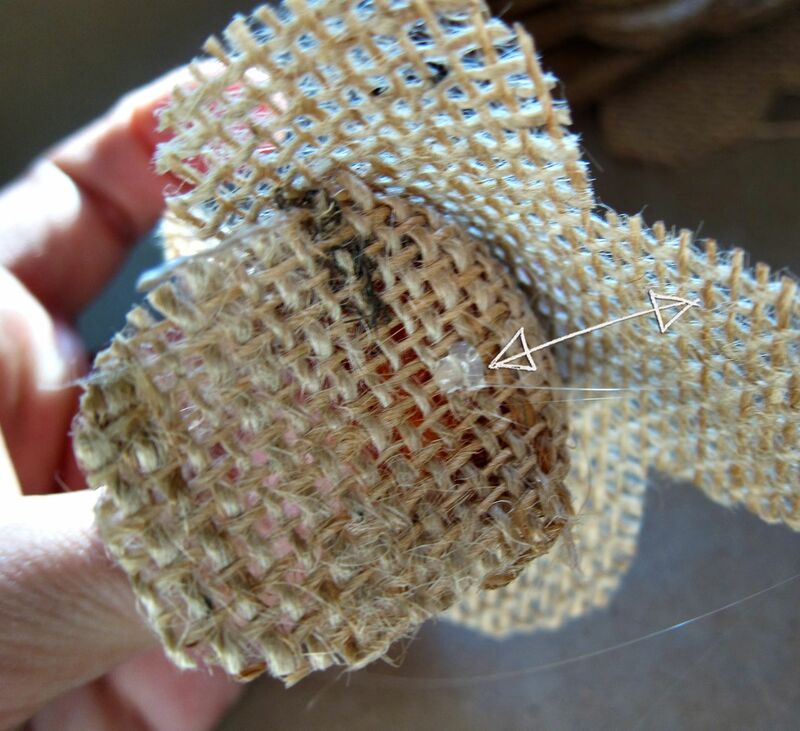 Be careful of the hot glue as it squeezes through the burlap. Keep adding layers of petals over and over until your flower is as full as you want it to be. 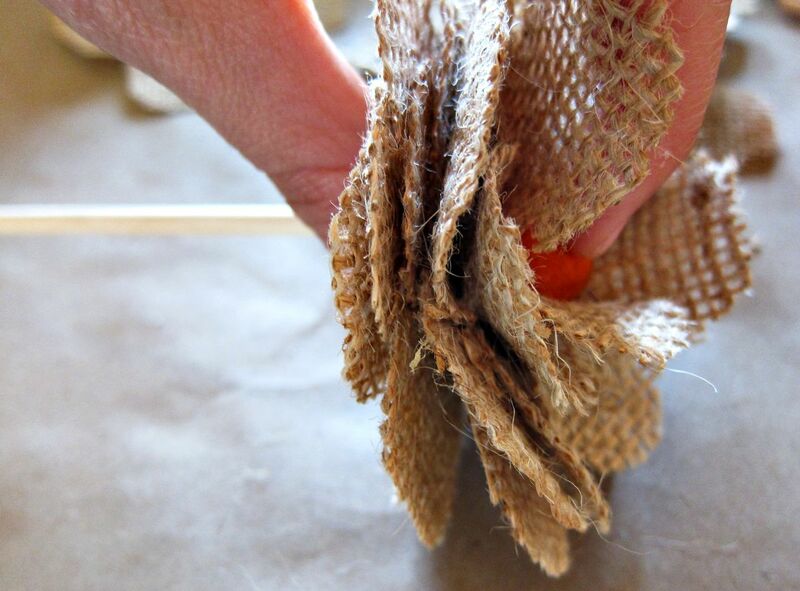 Once your flower is as full as you want it to be, take another petal and cut a slit in the middle of it. 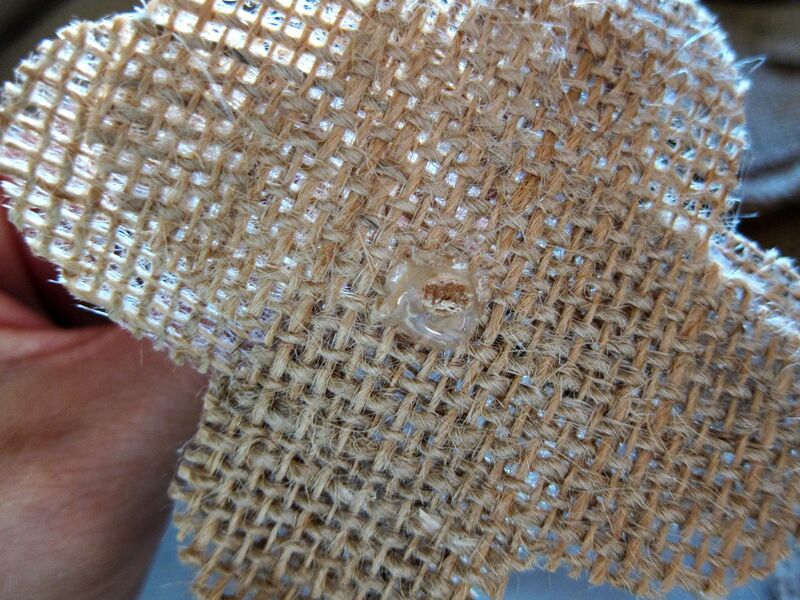 Stick one of the dowel rods into the hole, and put a huge glop of hot glue on top of it. 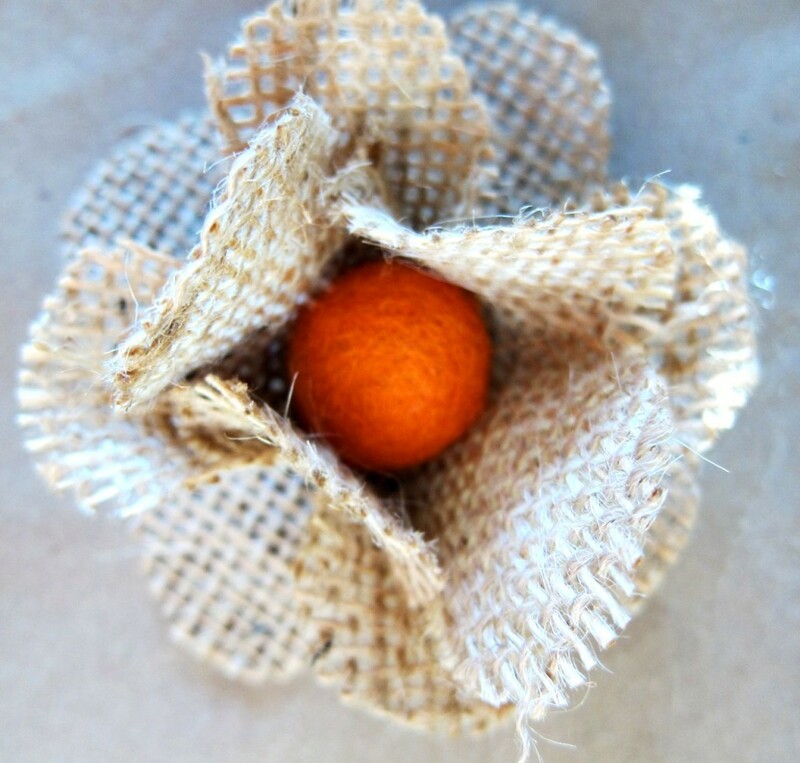 Then place your finished burlap flower on top, and hold it down for several seconds. 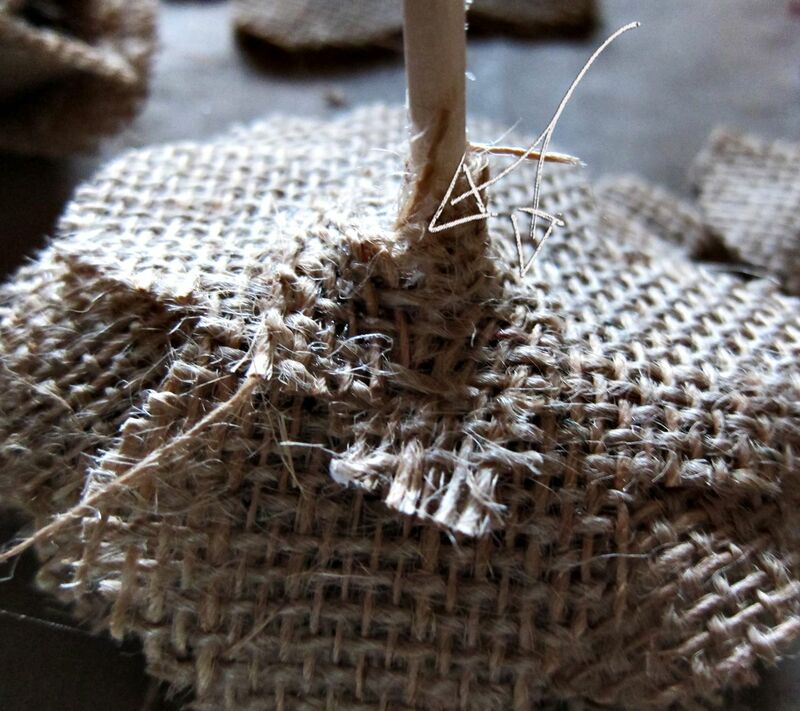 Then take a small scrap piece of burlap and hot glue it around the edge of the dowel rod and the flower. 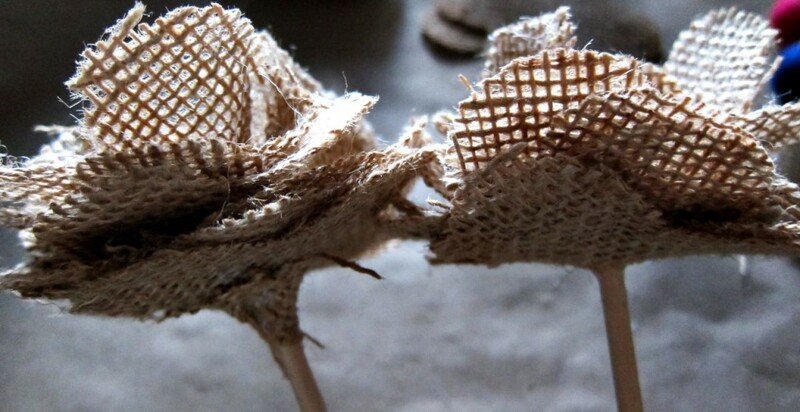 This step helps strengthen the attachment of the two as well as make the flower look better. Your flower is then done! 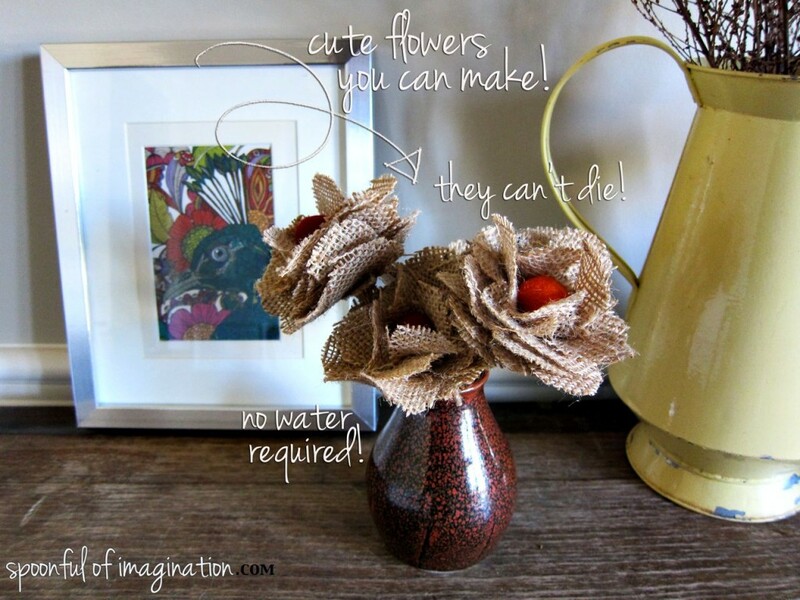 You can make as many flowers as you want! 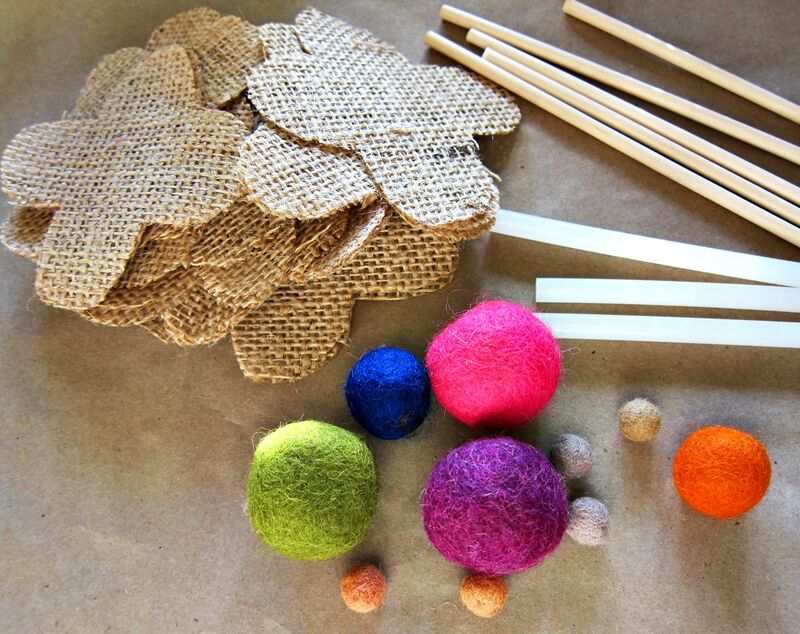 I love that you can take this idea and make lots of different sizes or use the technique to make more than just bouquets. I think the flowers would look cute to make napkin rings, wreaths, or as an ornament to lots of different baskets or buckets. I put my flowers in a pretty clay vase on the buffet in my dinning room. If you like these burlap flowers, you might like another burlap flower I created and used on hairbows. 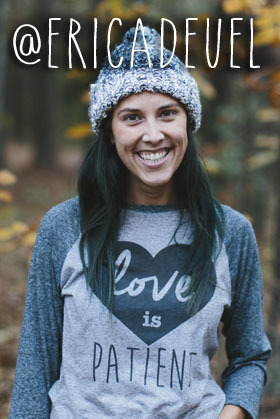 So, what about you!? 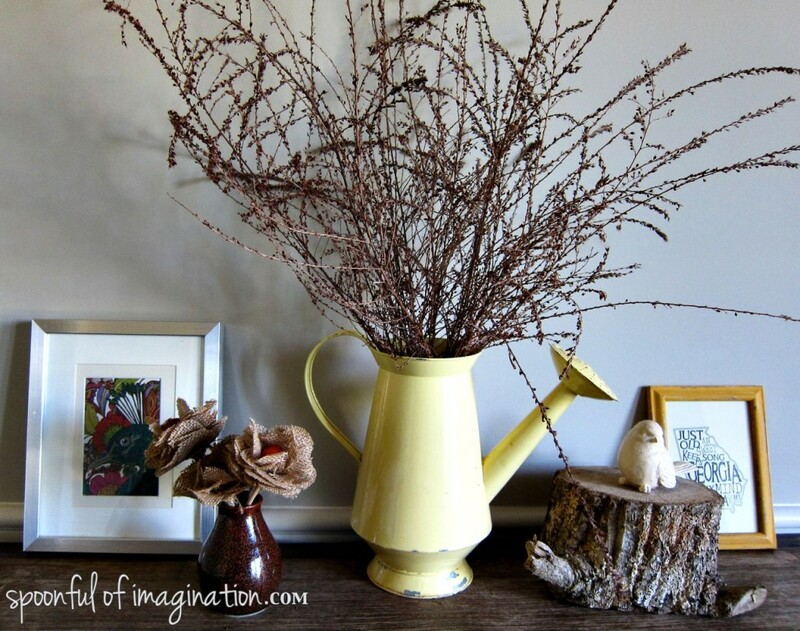 Do you have a green thumb or like the idea of fake flowers too?? Too cute! 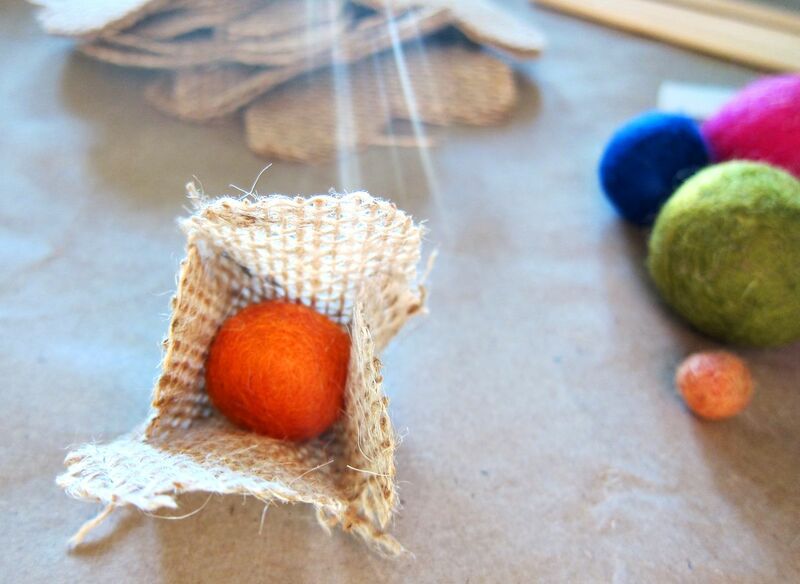 Sharing these on Sulia. Great job! What is Sulia, Erin!??? Thank you for sharing! !